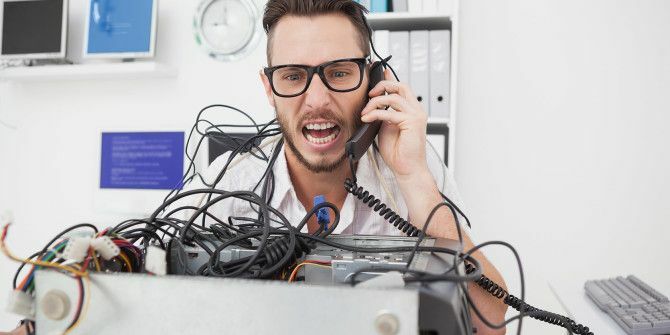 Many of us have been saved by tech support 10 Amazing Tech Support Stories That Actually Happened 10 Amazing Tech Support Stories That Actually Happened Tech support is important. It's also filled with life stories that need re-telling. Here are some absolutely amazing stories that give a glimpse into the lives of these unsung heroes. Read More at one time or another, their abilities stretching from missing files to malware scares. However, the less experienced the user, the more unpredictable their problems are likely to be. Despite professionals being trained to tackle all manner of issues, there’s no defense against a user that’s out of their depth. They might be making questionable changes to their system, or simply misrepresenting the situation in their plea for help — but the end result is often a headache for their rescuer. Here are some of the silliest problems that tech support pros have been called out to remedy. 1. Have You Tried Turning It Off and On Again? To begin, a real classic. Tech support receives an irate call from a user who’s having some serious issues with their computer, and is understandably quite frustrated as a result. IF YOU WON’T SEND ANYONE I’LL TOSS EVERY THING IN HERE OUT OF THE WINDOW! I AM SICK OF NOTHING WORKING HERE AS IT SHOULD! I SWEAR I WILL RIP EVERYTHING APART! Toolbox in hand, tech support heads to the troubled user, fully prepared for some serious tweaking and tinkering. Just to make sure, the computer is rebooted via its power switch — and it works perfectly. Total time on the job: 42 seconds. Here’s a mystery sure to stump even the most experienced tech support pros; how do you combat a virus that seems to survive a complete factory reset How to Factory Reset Windows 10 or Use System Restore How to Factory Reset Windows 10 or Use System Restore Learn how System Restore and Factory Reset can help you survive any Windows 10 disasters and recover your system. Read More and a full re-install of Windows? After all that time wasted, the solution came from a simple glance at the system clock. Firefox was showing a ssl error, I clicked to see the details, and saw the error was that the certification validation date was higher than the date of the laptop. Fixed the time on the laptop and it started working again. To access your date and time settings on Windows 10, just click on the time and date displayed at the bottom right-hand corner of the screen and then click Date and time settings. This isn’t often the solution to a virus scare, but it’s good to know regardless. 3. Who Gave You (Security) Permissions? Not allowing members of staff to install software on their computer willy-nilly might sound like the most basic aspect of running an office’s IT network — but you might be surprised by how often something so crucial can be completely ignored. Take the case of one user who was unimpressed with a company-wide upgrade to Windows 7. I went ahead and brought in my Windows XP CD from home. When I put it in, it just let me reinstall it. Now I can’t figure out how to open [our primary software]. Obviously, this is going to cause some wholly unnecessary hassle for the tech support team — and hopefully a change to staff security permissions. 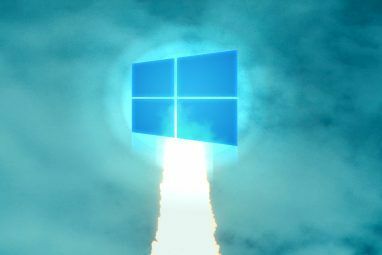 There are more effective ways of rolling back from the current version of Windows How to Downgrade from Windows 10 to Windows 7 or 8.1 How to Downgrade from Windows 10 to Windows 7 or 8.1 Windows 10 is here and maybe it's not what you expected. If you already upgraded, you can perform a rollback. And if you haven't yet, create a system backup first. We show you how. Read More than digging out your old Windows XP install disk. You can use XP Mode Forget the End of Life Woes: Windows 8 Has an XP Mode Forget the End of Life Woes: Windows 8 Has an XP Mode Windows XP mode is restricted to Professional versions of Windows 7. But there's a way to get Windows XP Mode running on Windows 8 anyway. All you need is a computer running Windows 8. Read More or a virtual machine to run old software What's the Best Way to Run Multiple Operating Systems on Your PC? What's the Best Way to Run Multiple Operating Systems on Your PC? Undecided between Windows and Linux? It's possible to run multiple OSes on a single machine either by dual booting or using a virtual machine. Let's find out which one is best for you. Read More under a new Windows version. If you’re looking to appease another user, but keep things consistent on an operating system level, why not look into the aesthetic changes you can make to Windows 10 How to Make Windows 10 Look More Like Windows 7 How to Make Windows 10 Look More Like Windows 7 Windows 10 introduced many updated and the visual design wasn't spared. If you prefer the aesthetics of Windows 7, we'll show you the steps to take to mimic its user interface. Read More to bring it closer to previous iterations. In tech support, it’s often important to remember that you’re working with people, not just hardware. One engineer on a house call found that his client had a Desktop absolutely packed with different icons, and it was only by physically observing what the problem was that they could properly establish what was going on. [A]s she is moving the mouse from the center of the screen to the AOL icon her fingers can’t help but click multiple times, right and left buttons. So over time multiple duplicates of duplicates of copies of duplicates…. have been created on the desktop. Windows had basically given up attempting to try and create more copies of the .lnk files in the desktop folder. The fix here was to put some “training wheels” into effect by changing certain system settings. By typing accessibility into the search bar on Windows 10, you can gain quick access to the Ease of Access section of the control panel. By navigating to the page titled Make the mouse easier to use, you can find the Mouse settings menu. By modifying the Double Click Speed option, the tech support agent managed to save the user’s Desktop from a sea of unnecessary, accidental shortcuts. Of all the applications tech support might be asked to field questions about, Excel is among the most dreaded, largely thanks to its capacity to confuse new users 8 Tips for How to Learn Excel Quickly 8 Tips for How to Learn Excel Quickly Not as comfortable with Excel as you would like? Start with simple tips for adding formulas and managing data. Follow this guide, and you'll be up to speed in no time. Read More . Fortunately, some problems are easier to diagnose than others. The problem? A spreadsheet not displaying correctly. The groan-inducing solution? The user wasn’t aware that the maximize button is all that’s needed to make a document fill the screen. Lots of tech support conversations happen over the telephone rather than in-person, which leads to widespread confusion about the word “window” — are you talking about a browser window, or the operating system? Or, alternatively, are you talking about the big piece of glass in your living room wall? This story starts with a computer whiz helping out his aunt by updating her virus protection and sorting out a few other minor PC problems, all of which are easily fixed. After his work is done, he decides to spend some time surfing the Web; however, while he’s already observed his aunt connect to the Internet successfully, he’s unable to do so for himself. After attempting to sort out the issue to no avail, he tells his aunt that he can’t make a connection. Aunt: of course, silly, you closed the window. I have no response to that. what does the window has anything to do with Internet. She opens the window, and as the cold air starts rushing in Internet connects. She was right. While it might seem strange, even something as minor as a closed window can successfully block out a very weak Internet signal. Of course, a blast of fresh air isn’t the only way to speed up your Internet connection — tweaking your DNS settings How to Optimize Your DNS for Faster Internet How to Optimize Your DNS for Faster Internet "The Internet is just a series of tubes" as one man so wisely stated. Unfortunately, it’s not as simple as that. There’s a complex architecture that supports the Internet, and data packets need to travel... Read More might work, also. In most cases, the audio options of a work computer go untouched — no one in the office needs to hear your music blasting. However, at a radio station, it’s easy to understand why a PC that refuses to make a sound could cause problems, and might require a visit from tech support. You can imagine how surprised said tech support will be when they approach the system and find that the culprit behind the lack of sound output No Sound in Windows 10? 7 Tips to Fix Audio Issues No Sound in Windows 10? 7 Tips to Fix Audio Issues Sound and audio issues are common in Windows 10, so we've compiled the most helpful audio troubleshooting tips for you. Read More is none other than the mute button. Who would have thought? Here’s a silly error with a rather clever solution. 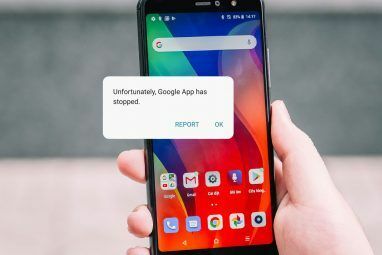 A user makes a call to tech support, informing them that a recent check-up at an IT specialist saw their system returned with no Internet access. The responder checks its network capabilities from their position, and finds nothing amiss — but that’s when the user elaborates and they see what’s really going on. Woman: CAN’T YOU SEE SIR, THEY DELETED INTERNET FROM MY COMPUTER!!! Oh. I got it… Someone in XYZ deleted Internet Explorer from her laptop, changing it with Chrome. Poor woman didn’t had clue what Chrome is. 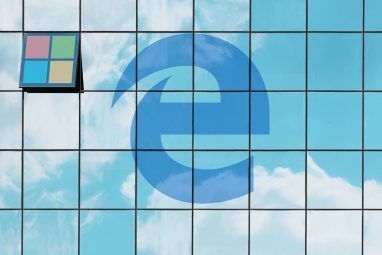 No changes have been made to the PC’s network settings, it’s just that the desktop shortcut for Internet Explorer has been removed, leading the user to believe that the system has been robbed of any and all Internet access. The solution? Well aware of the many failings of Internet Explorer How to Download Internet Explorer 6 (If You Really Need To) How to Download Internet Explorer 6 (If You Really Need To) There are still some people who use Internet Explorer 6 to this day, and they've got some valid reasons. Here's how you can use it if you need to. Read More , tech support instead installs Google Chrome on the computer, simply replacing its desktop icon with that of Microsoft’s browser. If you find yourself needing to change a shortcut’s icon, right-click it and select Properties. Navigate to the Shortcut tab, and there should be an option labelled Change Icon. Click that, and you’ll be able to add your own specially created .ico file, or select from the stock icons packaged with Windows. Picture the scene; a college student is helping out his Alma Mater by providing some casual tech support work. Suddenly, a staff member burst into the room he’s working in, furious at a security breach said student has apparently played a role in. This kid messed with the Secretary’s computer, Now her files are lost, the screen is broken and a robotic voice is controlling it. The student claims to have no knowledge of the attack, and all parties involved head to the secretary’s office to see what’s going on. As it turns out, dramatic changes to the system have come as a result of a software download — without fully understanding the process, the secretary had installed Windows 10. Add “getting people in trouble” to the list of things Cortana can help accomplish 6 Coolest Things You Can Control with Cortana in Windows 10 6 Coolest Things You Can Control with Cortana in Windows 10 Cortana can help you go hands-free on Windows 10. You can let her search your files and the web, make calculations, or pull up the weather forecast. Here we cover some of her cooler skills. Read More . Information is often the key to success in tech support. Knowing more about the error at hand, and the system it’s being observed upon, is often the best way for an expert to diagnose the root of the problem. However, you can’t always be confident that the user is knowledgeable enough about their system to even know the very basics. Take this response to the question of which version of Windows How to Find Out Which Version of Windows 10 You Have How to Find Out Which Version of Windows 10 You Have Knowing the build number of your Windows 10 machine could be the difference between successful and unsuccessful troubleshooting. Here's how to find it quickly. Read More a PC is running. Fortunately, it’s not all that difficult to find out what version of Windows your rig is running. On Windows 10, you can simply type PC into the search bar to bring up a location called This PC. Right-click that and select Properties, and you’ll be given a full rundown of all the basics. Alternatively, press the Start button, type winver, hit Enter, and a window with information About Windows should pop up. Do you have your own tales from tech support? Add your stories to the mix in the comments section below. Explore more about: Internet Explorer, Microsoft Cortana, Tech Support, Troubleshooting, Windows 10. The problem is that many people who usie computers should not be allowed to use anything more technologically advanced than a sharpened stick. People who think a CD/DVD tray is a cup holder. People who think that a mouse is a foot pedal. etc. My system administrator had the habit of keeping a log of all malfunctions appeared in our institution's system - user, item, symptoms, cause. One afternoon I was in his office, and by chance I took glance in the book. The last entry said: "Printer. Accounting dpt. Not working. Cause: It was not plugged in!!". It was the only time when I saw him using exclamation marks. Second, happened to me. Since I was known for staying after hours, the same accountant came to tell me she couldn't turn off the computer, even after pushing the button. The computer kept making sounds, the LED's are still on, etc. I thought that her Windows froze, and I asked her to show me what she did. And (I swear this is true) in front of my incredulous eyes, she pressed the button and turned off the monitor. Panic call from a user at a remote office. "I can't connect to the internet. I need the internet to do my job. Fix it NOW!" having dealt with this user previously I knew that 'Internet' really meant anything to do with their computer. Of course the first thing "Turn it off, wait a minute and turn it back on." I already did that! Just fix it! After at least 10 minutes of back and forth I get, "I don't see anything on the screen It's just black." "Is the monitor turned on?" "Is the power light lit on the monitor?" Again more dithering before, "I don't see a light where you said to look." "Is the monitor plugged in?" "Look at the power cord, it has two ends one should be plugged into the back of the monitor. Lets look there first." "I can't see back there, my co worker just borrowed my flashlight." I used to work at a large urban public library. One day a young man came to the desk and said he was trying to "test the system" on a public computer. Test the system? Turned out he didn't like the interface, so he brought his own Earthlink disk from home. Good thing the CD players were disabled or who knows what kind of hilarity would have ensued.